First, interior designer Monica Kosann take us through some of her clients' unique collections (Watch video below). Next, tour seven floors of exquisite design in lower Chelsea (Watch video below). Then, designer Gail Green introduces us to "regency modern" design and shows how you can achieve this timeless, elegant style in your own home (Watch video below). 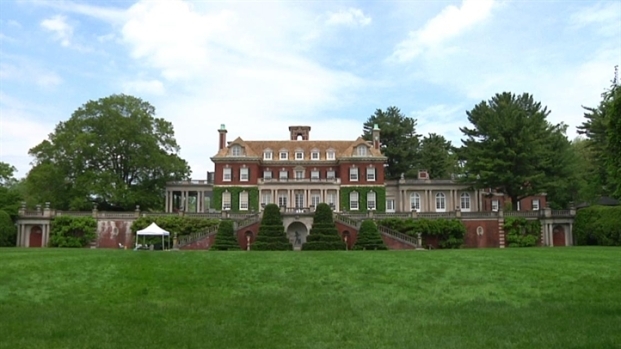 Later, get ready to be wowed by the historic Old Westbury Gardens, an impressive property that allowed Open House to go behind the doors of some never-before-seen rooms of the estate (Watch video above). Finally, designer Libby Langdon makes over a living room by simply rearranging the furniture and bookshelves--stylish home decor has never been so simple (Watch video here)! Tune in! This episode of Open House was hosted from 627 West End Avenue, New York, NY. For more information on this property, please contact Karen Kelley of Corcoran at 212-875-2879. View the listing. Director of communications Vince Kish takes us behind the doors of the historic Old Westbury Gardens. This absolutely stunning home is surrounded by 200 acres of manicured gardens. Plus, Open House has never before seen footage of this impressive property.